Look no further than Mr DUI LA! HIRE MARK ROSENFELD for SUPERIOR RESULTS! Don’t Let a West Hollywood DUI Arrest Ruin Your Life! Have you been arrested for a DUI / DWI in or around West Hollywood, California? Make sure your rights are protected and that you get treated fairly by hiring a qualified DUI attorney with experience handling DUI / DWI cases specifically in the Hollywood area. An experienced attorney who know the cops, the prosecutors, the judges and the local courts: there is a huge advantage to you and your situation. David M. in CCB (Criminal Courts Building) – Charged DUI and open container, passed out in the middle of the street with the engine running – Not Guilty all charges. Francisco L in (Metropolitan courthouse) – 2nd DUI with speed enhancement and commercial driver – speed enhancement dismissed and jury hung. Francisco L in (Metropolitan Re-trial) – Not guilty all charges commercial drivers license returned. James P in (Van Nuys) – 2nd time DUI, fell getting out of his car and failed all Field Sobriety Tests – Hung for Not Guilty and DUI dismissed. If you’ve been charged with Driving Under the Influence (DUI), or Driving While Intoxicated (DWI) you’re most likely feeling scared and confused right now. Being arrested, taken to jail, fingerprinted, and photographed is a frightening and disturbing process. And—on top of that—if you feel like you were treated unfairly, you’re probably also pretty angry —if not at the system— perhaps at yourself. We can’t undo what has happened – but we can make some smart choices now to mitigate the harsh penalties that await you should you choose to do nothing, or worse – plead guilty. 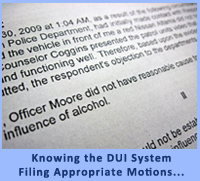 Unraveling yourself from the current and future consequences of a DUI arrest is complicated. You need an experienced, local West Hollywood DUI lawyer who can help you figure out your next steps and guide you through them who knows the system inside and out. Considering pleading out by yourself to save a few bucks? You might be surprised to learn that this can be even more expensive. Going it alone can land you in even more trouble than you’re already in—yet unfortunately, lots of people make this critical mistake all the time. The good news is you don’t have to be one of them. Partner with an affordable, experienced, and local West Hollywood DUI Attorney today! Why local? A qualified DUI attorney in West Hollywood is going to know which judges to stay away from, and where your best bet is to work out a deal if you can. Your immediate Goals? Save your Driver’s License and stay out from behind bars. My name is Mark Rosenfeld. For years, I have been helping DUI / DWI defendants protect their rights and ensure fair treatment. The legal system is tricky, but with the right legal guidance, you’ll begin to understand the full implications of your situation and identify the steps you’ll need to take. Did you know there are dozens of ways to challenge the charges you’re currently facing? When you consult with me, I’ll walk you through some of these. If one or more apply, I can help you formally raise the challenges so your case is as strong as possible. Plenty of lawyers just fill out forms and talk to the local Prosecuting Attorney. That’s all they do! But in many cases, your best option is to fight the charges against you. If the facts of your case present opportunities, we should look carefully at a defense. Many times my clients were arrested when they shouldn’t have been—and that’s where I come in. Even if the case against you is solid and you feel as if you have no defense, there’s a lot we can do to minimize the harsh punishments that the State can and will attempt to bring against you. My goal is straight-forward: to keep your record clear. I work hard to absolve you of all charges, prevent you from losing your license, and keep you from serving time behind bars. No lawyer can guarantee that they’ll be successful defending a client as each case is unique and depends on many variables. For example… Is the judge assigned to your case harsh or lenient on drunk driving offenses? Does the Prosecuting Attorney plan on going after you with both barrels – to make yet another DUI example? Frankly, there is just no way of predicting the obstacles you might be up against. Regardless of your situation, however, I can help. When you work with me, you get a highly skilled West Hollywood DUI Lawyer who is fiercely passionate about protecting your rights and minimizing the fallout from these serious charges. At the very least, I’ll do everything I can to make sure you’re treated fairly as you weave your way through this very serious criminal legal process. I want you to get the legal expertise you need. 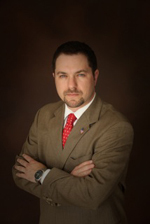 The Prosecuting Attorneys who will be spearheading the State’s Case against you prosecutes DUI cases every day. These Prosecuting Attorneys know all the legal nuances that strengthen their cases. According to the law, the Prosecuting Attorney only needs to prove that, after drinking alcohol, you were not able to safely drive your vehicle, or that your blood alcohol level exceeded a certain legal limit. On the surface, that sounds pretty cut and dry—and probably even a little scary to you as you contemplate going this process alone. Fortunately for you, prosecuting YOU is not quite that simple. If the Prosecuting Attorney has any information that could potentially prove your innocence, she/he is legally bound to give it to you. An experienced attorney knows this and can get the Prosecuting Attorney to comply. That’s where I come in. I know how to make the motions your case requires—motions that will force the Prosecuting Attorney to prove that every step of your arrest followed the law. I will also talk to the Prosecuting Attorney before your case goes to court to request the proof that will be presented and let the Prosecuting Attorney know which parts of the case I plan to contest. Why would I do that? Wouldn’t that be showing our hand? Actually, in most criminal cases there is actually a good reason for this. When a case is challenged, the Prosecuting Attorney is forced to invest extra time (which they rarely have, since they juggle many cases at once and we know the budget problems here in Los Angeles) to produce stronger evidence and more witnesses. After being arrested for a DUI, most people aren’t sure what to do next. Should you contest it? Will you win? And what happens if you don’t? These are the types of questions you’ll get answered during a free consultation session with me. You’ll learn everything you need to know during a half hour long in office conference. I’ll give you an analysis of the facts, share my professional opinion, and discuss potential approaches. I’ll also lay out all the options available to you and give you an understanding of how the judicial process works. You’ll also discover how evidence against you might be invalid. I’ll review the official complaint and determine whether roadside tests or police testimony can be thrown out. And if you’re hesitant about confiding in me, you can relax. Everything you tell me— during the no cost session or any other time—is completely confidential. And this holds true even if you choose not to retain me. I urge you to take advantage of your free consultation, a $300 value. There’s absolutely no obligation. You’ll never owe any money until you decide—in writing—to proceed. Let me protect your rights. If you decide to retain me as your attorney after your free consultation, I will clearly explain my fees and payment plans. All of my fees are laid out in plain English and are easy to understand, so you’ll never be blindsided by surprise charges. 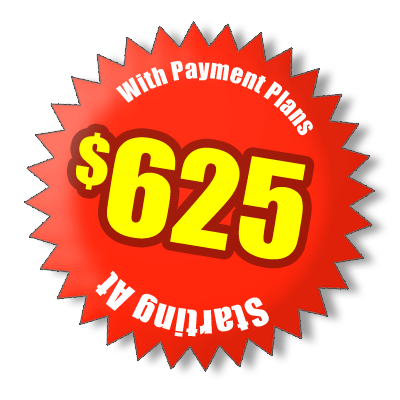 I custom tailor flexible payment plans to meet most every budget. ONE – A free initial phone conversation and/or in office consultation: Start putting the pieces of your life back together with a free, no obligation consultation with an experienced DUI attorney. TWO – Personal attention: Get phone calls returned promptly, stay informed, and get authoritative answers to all of your questions. THREE – Reasonable and guaranteed fees: No surprises here! You’ll know in advance exactly how much retaining me will cost. And you don’t pay a dime until you’ve agreed—in writing—to work with me. To talk directly me, Mark Rosenfeld, an experienced West Hollywood DUI Attorney who is ready and willing to fight your case, call me today at 310-424-3145 to schedule your free consultation or fill out a Client Case Information Sheet and I will personally return your call immediately. Remember, there’s absolutely no risk on your part. You’ll get all of your questions answered, and learn about the DUI process and the California judicial system. If you’re still not convinced that I’m the right person to fight for your exoneration, simply walk away with no obligation. Whatever you do, it’s essential that you take action fast. When you were arrested, your driving privileges were likely suspended. So it’s important to know that you only have ten days —from the time of arrest—to make a formal response to your revoked privileges. Waiting too long can cost you! Call me today and I’ll tell you exactly how to handle the issue. The charges against you are serious and have lifelong implications. Make sure you put your case in capable hands. Call me today, and I’ll fight to help get your life back on track.